Dental implants are artificial teeth and they are the closest a patient can get to achieve healthy and natural teeth. They are one of the best options for those who want to live their life to confidently smiling, talking, eating, kissing, laughing, and enjoying all everyday activities with no need to worry about their teeth. More exactly, dental implants represent a replacement for the roots of those teeth that are missing. They serve as an anchor for the substituted tooth or crown or a set of replacement teeth. Dental implants are surgically inserted directly into the patient’s jaw. 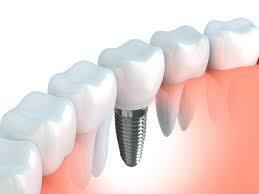 There are dental implants that are made of titanium and zirconia. These types of implants fuse well with the bone. This process is called osseointegration. These prosthetic teeth roots are recommended in all cases where patients have lost some or all of their teeth due to a periodontal disease or some type of injury. The most common reason why patients prefer dental implants is that of the embarrassing and also confidence shattering effect they can possibly have. When a dental implant is inserted into the jaw, after some time, a connector is placed in the top of the implant. The connector, in the literature, is called abutment, has the role to support and hold the crown. All crowns are custom-made in order to match the natural teeth of the patients and also to fit in their mouths. It is good to know that modern dental implants are utilized more than thirty years and mark a positive and successful outcome. They are the strongest tools which are available to support the missing tooth and fortunately, they allow these teeth to function, look and feel natural. Dental implants are placed by well-educated and well-trained dental professional and when done by a dentist, the dental implant surgery becomes one of the safest and most predictable treatments in dentistry. 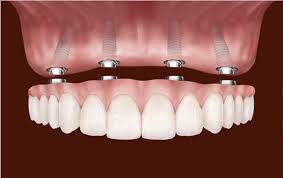 Endoseal type of dental implants is inserted in the jaw. They could be made of titanium and zirconia. They are shaped such as small screws and in fact, they represent the most commonly used type of dental implant. 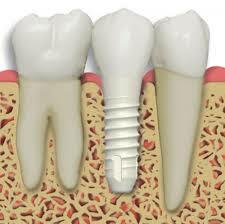 When the dental implant is placed, after some time, the dental professional should choose the abutment. There are meso abutments available on the market. They are full zirconia abutments which offer simplicity, reliability, and flexibility. The new terms for this intervention are same day implants or teeth in a day. This procedure permits insertion of a temporary tooth during the same visit as the dental implant procedure. This treatment is a good option if the patient has enough natural bone and also an implant secure enough in order to support the immediate insertion and pressure of the new temporary tooth. They are known as small or narrow diameter implants. The good thing is that they are inserted through less-invasive techniques and are used to stabilize the lower denture. Mini Implants are introduced in the dental field twenty years ago and they were meant to be an implant which would be temporary. They were quite often utilized as a way to snap-on a temporary prosthesis and help retain during the healing and recovery period. The promises with mini dental implants couldn’t meet the expectations that people have for their treatment to be durable and long-lasting. This is the reason why mini dental implants are used as a temporary implant and conventional dental implants are inserted as a long-term dental solution. This treatment concept represents a minimally invasive alternative made with fixed full-arch restoration for achieving the highest satisfaction of the patient. This kind of treatment is frequently used to restore the natural smile or to replace dentures or teeth when they are missing. This advanced procedure requires four titanium dental implants in order to anchor the lower and upper jaw. This type of treatment provides a great stabilization for the afterward added prosthetic teeth for completing this permanent dental solution. This treatment requires two dental implants in the front area straightly placed and the other two implants in the posterior are titled up to forty-five degrees in order to preserve the sinus cavity. This procedure is the least costly when it comes to comparing the traditional dental implant procedures for edentulous patients. According to the results of many studies, 98% of treated patients would advise all-on-four treatment concept. According to many studies, Zirconia is osteoconductive material and has the ability of easy osseointegration. The strength of the zirconia implant depends on the implant surface structure. Another thing to consider is that the zirconia implant is a one-piece implant which is inserted in the patient jaw, as opposed to titanium implants which have three parts. Dental implants are a great opportunity for all patients who suffer from missing teeth. They are a perfect solution for restoring patient’s smile. Dental implants are spread all over the world and when inserted by a well-educated dental professional, they seem to be the best treatment option for the patient. When placed in the mouth, patients must maintain oral hygiene habits on a high level. This includes scheduling regular appointments to their dentist in order to maintain the dental implants in good condition and to increase the period of the implant in the mouth. If the patient wants to have a consultation about missing teeth, he should inform well and according to the recommendations of his dentist, he will finally make the exact decision.